Barrie, Ontario, July 24 2018, (www.linkgreen.ca) LinkGreen has released a WooCommerce plugin to further compliment Wordpress websites. This integration will allow businesses to expand their sales opportunities to now include direct-to-consumer online sales. 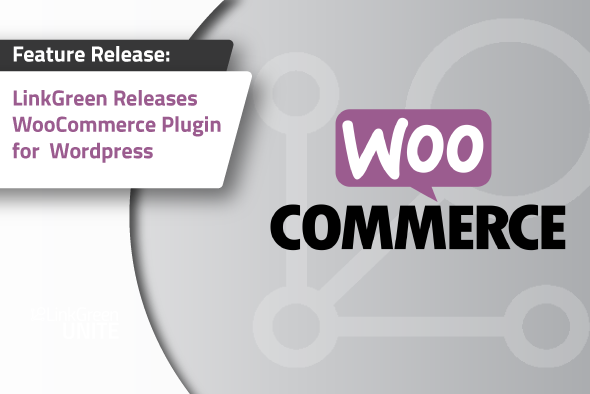 LinkGreen customised WooCommerce plugin integrates directly with Wordpress websites, allowing businesses to harness their existing product data and automatically populate an e-commerce experience on their website. This integration bridges LinkGreen’s wholesale online ordering and product data management system with WooCommerce’s direct-to-consumers e-commerce platform. This plugin will make it possible for businesses to utilize their wholesale supplier product data in LinkGreen and quickly build a full online storefront on their WordPress website, eliminating existing information barriers. “Through this WooCommerce plugin, LinkGreen is providing suppliers and retailers with a seamless way to offer full e-commerce convenience. We are just about to launch a client’s freshly updated WordPress website that utilises this WooCommerce plugin to better promote their products and the retailers who carry them,” commented Warren Patterson, CEO of LinkGreen. The development of this WooCommerce Plugin is a part of LinkGreen’s strategy to deliver a 360-degree suite of technology solutions, offering their customers technology that helps them grow their business. WooCommerce is an open-source, completely customizable eCommerce platform for entrepreneurs worldwide. Go beyond the confines of traditional eCommerce solutions, and be limited only by your own imagination. Proudly bootstrapped, and built on a foundation of work-life balance, we have ambitions to be the ultimate WordPress toolkit provider.